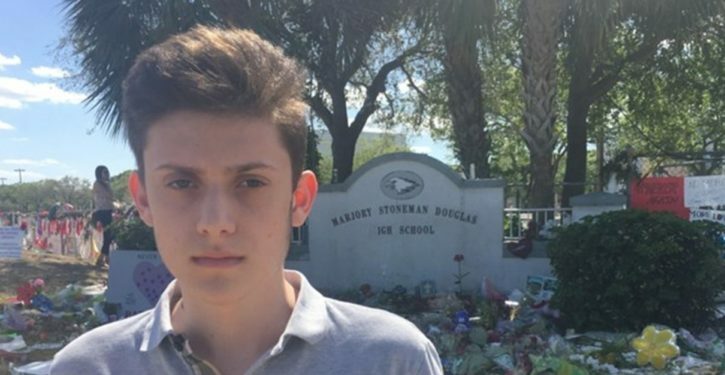 As Twitchy reported, Parkland survivor Kyle Kashuv made a whirlwind tour of Washington, D.C., this week, meeting with Donald and Melania Trump, Ted Cruz, Orrin Hatch, Marco Rubio, Paul Ryan, Louie Gohmert, and Kellyanne Conway all in the same day. But some are wondering why only the pro-Second Amendment Kashuv got to meet with the president and first lady. First of all, it’s not true: President Trump and Vice President Pence did meet with Stoneman Douglas High School students during the president’s school safety listening session at the White House, which was held the same day as CNN’s NRA show trial but included a lot less heckling and screaming from a televised audience (and no “creative input” from Sheriff Scott Israel, thankfully). Second, as Kashuv notes, if you do want to meet with the president, don’t hang up on his office when the invitation is made.